Prof. Solomon I. Shibairo is an Associate- Professor of Horticulture. He went to Tinderet Primary School in 1968, then to Kemeloi High School in Nandi County where he sat for The East African Certificate of Education in 1978 and then proceeded to Kericho High School and sat for the Kenya Advanced Certificate if Education. He attended the University of Nairobi and graduated with Bachelor of Science in Agriculture (BSc (Agric)) honours degree in 1985. He attained a Master of Science (MSc (Agronomy) from The University of Nairobi in 1989, before being awarded the degree of Doctor of Philosophy of The University of British Columbia in 1996. 2012- From KAPAP as Principal investigator. Cassava Post-harvest Value Addition for Improved Food and Nutrition Security and better Livelihoods in Kenya. Ksh. 30, 000, 000. 2011 Principal Investigator. Screening finger millet for production and nutrient content to improve livelihoods of small–scale farmers in drought prone areas of Eastern Province of Kenya. Sponsored by RUFORUM. $59,930. 2008-2012: Prepare PhD project. Funded by EDULINK of EU. 2002-2006:. Team member on the KARI- Potato Seed Tuber Sprouting project. Lung’aho, C., G. Chemining’wa, S. Shibairo and M. Hutchinson. 2012. Dynamics of on-farm management of potato (Solanum tuberosum) cultivars in Central Kenya. African Journal of Agricultural Research. 7(17): 2701-2712, Available online at http://www.academicjournals.org/AJAR. Magomere, T.O., S.D., Obukosia, E.,Mutitu, C., Ngichabe, F.,Olubayo and S.,Shibairo 2009. Molecular characterization of Candidatus Liberibacter species/strains causing huanglongbing disease of citrus in Kenya. Electronic Journal of Biotechnology, 12: 1-13. S.I. Shibairo, P. Demo, J.N. Kabira, P. Gildemacher, E. Gachango, M. Menza, R.O. Nyankanga, G.N. Chemining’wa and R.D. Narla. 2006. The effects of gibberellic acid (GA3) on sprouting and quality of potato seed tubers in diffused light and pit storage conditions. Journal of Biological Sciences, 6 (4): 723-733. Mutonyi, J., Shibairo S.I., Chemining’wa, G.N., Olubayo, F.O., Nyongesa, H.W. and Konje, M. M. 2004. Effects of N and K fertilization of sugarcane (Saccharum oficinarum) on acrisols in western Kenya. Elixir Agriculture 67 (2014) 21669-21675. Accepted for publication. Shibairo, S.I., Mutonyi, J, Chemining’wa, G.N, Olubayo, F.O, Nyongesa, H.W and Konje, M. M. 2004. Effects of agricultural lime and phosphorus application to sugarcane on acid acrisols in western kenya”. Globals Science Research Journal. Prior to his current administrative appointment, as Deputy Principal (Academics, Research and Extension) at Kibabii University College, Prof. Shibairo served as Section Head of Crop Science unit of University of Nairobi and as Dean of the Faculty of Agriculture of University of Nairobi for two terms. He also acted on several occasions as Principal of the College of Agriculture and Veterinary Sciences (CAVS). 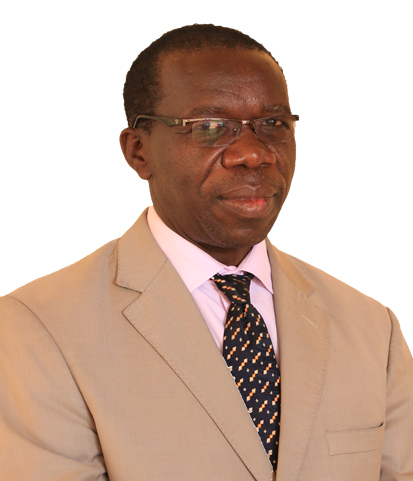 At the wider University level he has served in various committees including, the University Management Board sub-committee in reviewing medical terms and conditions for staff, one to develop the Open Access Policy and as a member of senate sub-committee reviewing the University Research Policy. He has wide experience in development and implementation of Strategic Planning, Performance Contract and the ISO process. Prof. Shibairo, has also worked for our great government in various capacities. From July, 1987 to September, 1988, he worked at Bukura Institute of Agriculture teaching Crop Production Course and as Head of Research for Technical Assistants for the Ministry of Agriculture. In 1985, he orked for the ministry of Agriculture as District Farm manager of the then Keiyo-Marakwet District. Currently He is a member of the National Task Force of Horticulture. Prof. Shibairo has also served as a consultant for several organizations. He is a member of various professional bodies among them The Horticultural Association of Kenya and the Agricultural Society of Kenya.